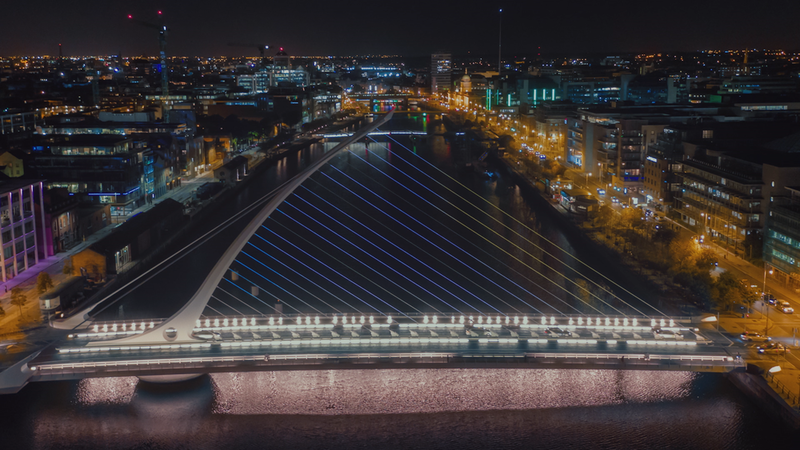 In September 2017 we worked on the launch of the new Samsung Note 8, which saw the 120 meter Samuel Beckett Bridge brought to life for Samsung's “Do Bigger Things" campaign. The project combined projection mapping, interactive design and live performance. We worked on serval different aspects of this project. We worked with harpist Aisling Ennis and production company Make and Share to develop some custom visuals which would animate on the bridge in real-time along with the music. We took inspiration from Santiago Calatrava’s design and worked in movement which both complimented the arc of the tubular spar in motion and flowed with Aisling's original work in pace. We advised Make and Share on the technical realisation of this project and all aspects of the practicalities of projection mapping the complex structure. We also spec’d the required equipment and the optimum locations for hardware. 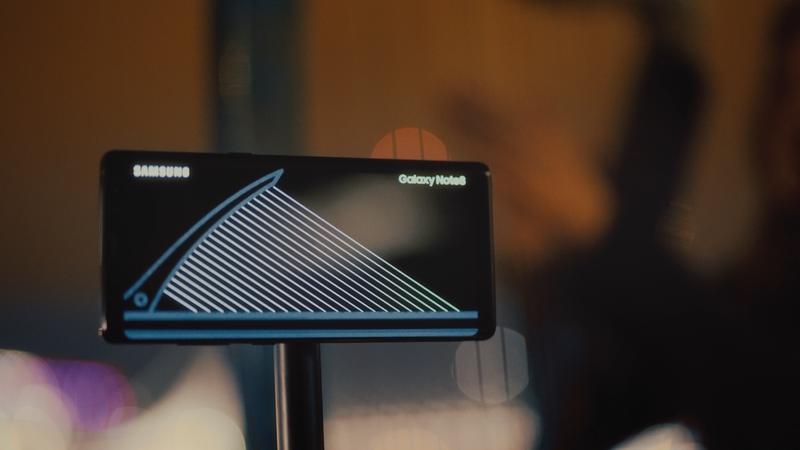 We worked with Irish Artist & technologist Tom O'Dea to create a solution that would allow members of the public to “play” the bridge in real-time. This consisted of an android application custom built for the Samsung Note with a digital representation of the bridge as the user interface. As guests plucked the strings on the app, the bridge in turn would light up in real time and play a note on speakers located locally.The effect of the music coupled with the strumming light motion, evoked both the beauty of the bridge and the quality of the instrumental.